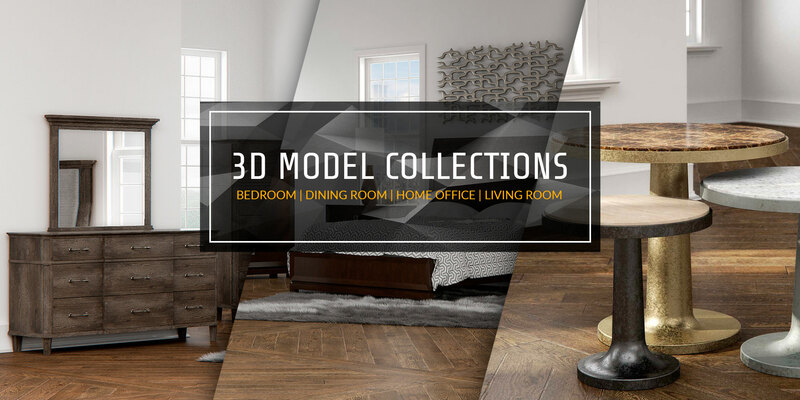 Shop collections of 3D Models to help improve the practical realism of your 3D scenes by showcasing a cohesive, real-world interior design layout. Our 3D model collections are value-driven packages of many of the individual pieces available from our store. Collections feature these individual pieces packaged a single file organized for easy import into existing scene files for easy rendering. These collections have been designed from the ground-up to create a lasting impact and offer a higher-quality product for professional 3D artists around the world. Here’ll you’ll find 3D models of bedrooms, living rooms, dining rooms, home office collections, and even accent pieces. Each of these collections features an array of optimized materials and textures designed for high-resolution photorealism using 3DS Max and VRay.